Betsson Group – Lightning Roulette Frenzy! Forget Zeus, the lightning will come from the Lightning Roulette table this week. 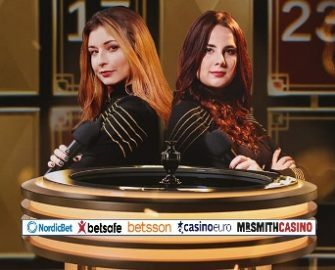 Join your fellow Live Roulette enthusiasts for the coolest Live Casino experience and win a share of €20,000 in cash. Collect points for wins on boosted numbers struck by lightning and on any straight up win on the new Lightning Roulette table at any of the Betsson Group casinos – Betsafe Casino, Betsson Casino, Casino Euro, NordicBet Casino or Mr. Smith Casino – and race into the TOP100 to win a share of €20,000 in pure cash. Get that wheel spinning now! Exclusive for players from Finland, Germany, Iceland, Netherlands, Norway, Peru, Poland, Switzerland and Sweden. 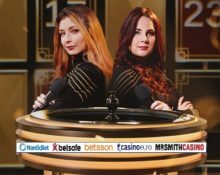 The air is electric around the Lightning Live Roulette table from Evolution Gaming this week as Roulette enthusiasts compete for a share of €20,000 in cash. Score points until midnight on 16th May 2018 to race into the TOP100 to be a winner. This is a network wide campaign within the Betsson group. OPT-IN on the campaign page is imperative to take part in the race. Only cash bets qualify for this promotion though, so make sure that you do not have an active bonus on your account. A player will not receive any points on the leader board on any game round in which his/her bets do exceed 60% of layout coverage or more than 22 numbers. Terms and conditions apply. The TOP100 scoring players by midnight on 16th May 2018 will each win a share of the cash prize pool of €20,000, credited with no wagering requirements by 18:00 CET on 17th May 2018. Prizes: 1st – €3,000 | 2nd – €2,000 | 3rd – €1,500 | 4th – €1,000 | 5th to 10th – €500 | 11th to 20th – €200 | 21st to 50th – €150 | 51st to 60th – €100 | 61at to 100th – €50.